The most rigid and sturdy Workbenches are offered from TeFoc. We provide both stationary and mobile workbenches. workbenches are available with showcase. The workbenches can handle loads ranging from 500kgs to 2000kgs. 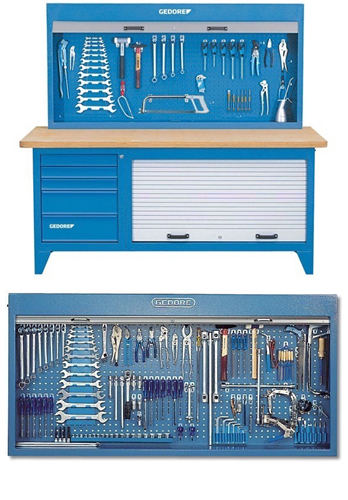 Workbenches with fully loaded Tool Sets is also available in our range. Workbenches are available in 2 brands in our range Gedore & Carolus.